Memorial services are scheduled for 1 p.m. Saturday, Feb. 6, at the Carlsbad First Assembly Church, 1502 W. Mermod St., for J.C. Estes of Carlsbad. Estes, 91, passed away Tuesday, Feb. 2, 2016, at the Landsun Health Services Center in Carlsbad. Pastor Fred Connell of Harvest Fellowship Assembly of God, Silver City, and Pastor D. Michael Lee of Paradise Chapel, Carlsbad, will officiate at the services. Cremation has taken place. Inurnment will follow at Sunset Gardens Memorial Park Cemetery with military honors performed by the Carlsbad Veterans’ Honor Guard. Honorary pallbearers are his grandsons, Lud Stephens, Monty Estes, Collin Smith and Bruce Stidworthy. 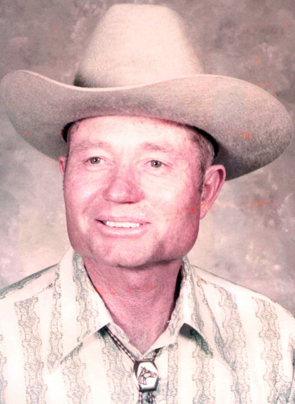 J.C. was born April 4, 1924, in Artesia to Elbert C. and Ethel (Chester) Estes and moved to Weed as a child. He served in the U.S. Navy from May 1944 through October 1945. On April 22, 1945, he married Christine Hendrix in Chula Vista, Calif., and the couple moved to Carlsbad following his military discharge. J.C. was employed as a carpenter at Duval Potash until his retirement in 1979. He loved hunting, and his passion was building churches for missions. Survivors include his wife, Christine Estes, of Carlsbad; son Glen L. Estes of Hawley, Texas; daughters Sharon Stephens and Naomi Smith, both of Carlsbad, and Linda Estes of Tennessee; sisters June Fowler of Roswell and Geraldine Robertson of Carlsbad; 12 grandchildren; 28 great-grandchildren; and two great-great-grandchildren. He was preceded in death by his parents; son L.W. Estes; brothers Albert A. and George L. Estes; sister Emily Sims; and granddaughter Cindy Cass. In lieu of flowers, the family suggests memorial contributions be made to the Mexico Missions Fund at Carlsbad First Assembly, 1502 W. Mermod St., Carlsbad, N.M., 88220.